Heckler & Koch is one of the most recognizable and reliable firearm brands in the world, despite their recent controversy. While the German arms company is famous for their widespread assault rifles, HK prides themselves on their outstanding line of handguns, especially their striker-fired models. As a manufacturer committed to innovation, HK has always pushed the limits on ergonomics, accuracy, and overall quality, constantly exceeding expectations. For example, everything I thought I knew about .45 caliber pistols was completely shattered when I experienced the HK45. 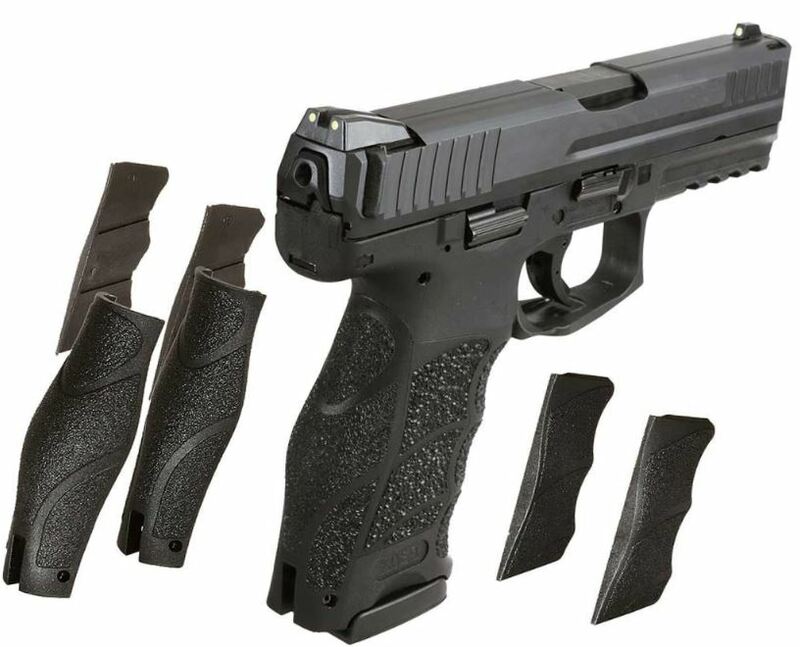 Through the power of the world-renowned German engineering, Heckler and Koch recently introduced their VP-series of striker-fired pistols, which they hope to compete with industry-favorites like the Sig Sauer P320 and Glock 17. In this Gunivore breakdown, we are going to take apart the VP9 and VP40 to see if HK’s most recent additions live up to the company’s exceptional reputation. 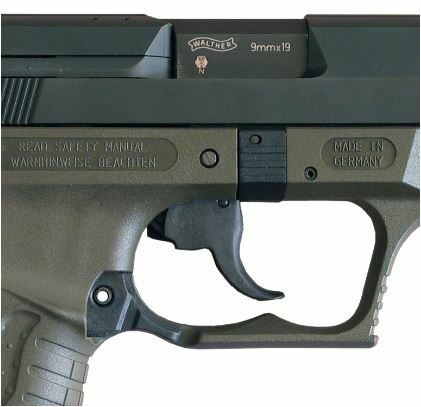 Heckler & Koch has an excellent reputation for producing high-grade weapons, especially their polymer-framed pistols, and the VP-Series is no exception. The German arms developer was the pioneer of high-tech polymers back in the 60’s and they have been perfecting their methods and ingredients ever since. As a matter of fact, their recent innovative blend of polyamides fuses beautifully to create one of the most durable and comfortable polymers in the industry. Similarly, HK utilized their proprietary cold hammer-forged polygonal bores as an added defense against wear and corrosion. These durability-boosting features plus the world-renowned German engineering seem like one hell of a quality assurance guarantee. While the VP is loaded with contemporary features, their ergonomic, interchangeable grips are by far the most outstanding. In addition to offering a variety of replaceable backstraps, the HK VP also ships with three side panels (small, medium, & large). Surprisingly, the advantages of these grips go even further – the VP was crafted with a unique bore axis thanks to a higher grip saddle that works wonders for handling and control. Beyond the grip frame, we have the surprisingly tough, steel/carbon nitride VP slide with industry-leading slide serrations and resilient extractors (which doubles as a loaded chamber indicator). On the fore-end of the slide, we have an extended Picatinny accessory rail which is great news for those looking to make their VP even more tactical. Although having the option for a laser or a light is always nice, the standard sight system on these German handguns is way better than you’d expect. In addition to a tritium night sight options, the VPs ship standard with a great set of luminescent 3-dot iron sights. Moving on to the VP’s trigger, we arrive at the most divisive section of the firearm. While fans of the striker-fired pistol extol the lightweight trigger pull, the European-style magazine release is the subject of much-heated debate. One on hand, the ambidextrous lever is easy to use, but on the other hand, most American shooters just want what they’re used to. Likewise, admirers of HK’s new semi-auto can’t praise the VP’s user-friendliness enough; besides for its low-profile, ambidextrous extended slide release lever, it’s also got a nifty disassembly lever. Back to the trigger – The VP-Series went through a rigorous four-year development period before its release, so it’s no surprise how highly-rated these firearms are. One of the features which went underwent the most scrutiny was the trigger and it is something to behold. Although I was most impressed by the incredible positive reset, it was hard not to be impressed by the short takeup and SA-type break. Overall, whether shooting slow, calculated shots or rapid-fire, the VP is smooth as silk. As we’ve just established, the VP ships with one of the best triggers in its class, comparable to favorites like the Walther PPQ. Furthermore, with six interchangeable grip options and decent stippling, the VP provides the shooter with an intuitive and comfortable grasp. 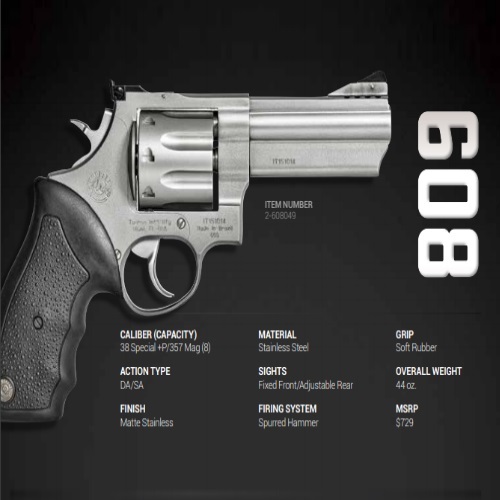 Considering the HK’s remarkable handling, controls, and ergonomics, I’m sure you can imagine how well it shoots. That being said, I’d stick with higher-quality ammo like Hornady AMP 124 grain FMJ or Sig Sauer Elite Performance FMJ rounds. After taking into account the innovative polygonal barrels, windage-adjustable rear sights, and instinctive controls it’s easy to see why more and more shooters are choosing HK. 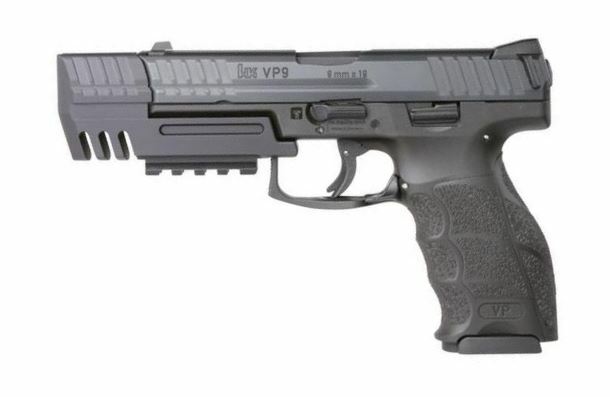 Additionally, considering how many shooters rely on the VP9 for home-defense, Heckler and Koch finally made nighttime use is easier than ever – besides for the tritium and 3-dot luminescent sights, the VP also features a simple and convenient red cocking indicator rear of the striker/firing pin. When discussing faster reloads most people tend to focus on the VP’s proprietary charging supports which make racking the slide practically effortless. Nevertheless, much of the speed and reliability of a gun’s chambering and reloading is due to their magazines. 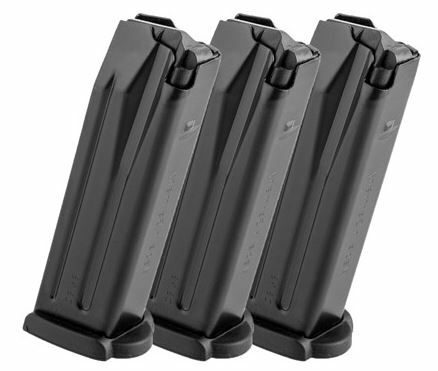 In order to keep their mags strong but still lightweight, HK took their P30 mags because of their steel construction and polymer baseplate. 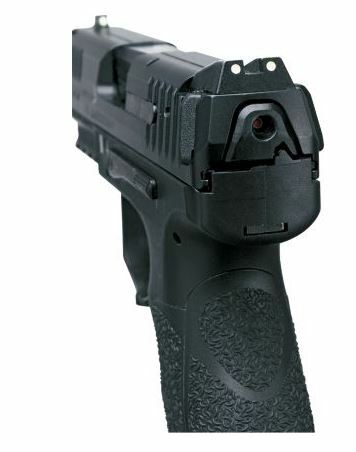 Keep in mind that the VP40 only fits 13- and 10-round magazines compared to the available 15-round option on the VP9. Although the VP handguns come with a full-size Picatinny rail integrated into their polymer frames, many shooters stick with the factory defaults. 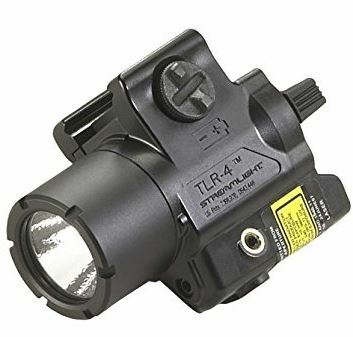 Nonetheless, there are tons of aftermarket options to choose from, like tactical lights and lasers, especially for those using the VP for home-defense. For those in search of the ultimate tactical accessory, it’s hard not to love the Lasermax Spartan Adjustable Fit Laser/Light Combo ($145). But if you’re in the market for a straightforward and ultra-reliable flashlight attachment, check out the SureFire X300B Ultra LED Weaponlight. The first gun that the HK VP reminded me of was the Walther PPQ mostly due to their similar, outstanding triggers. That being said, both of these German feats of firearm engineering feature incredible intuitive controls and excellent customization abilities. In contrast, I gotta credit Walther for going with the American-style magazine release and polymer sight system. Overall, these guns are eerily similar with the Walther coming out just a bit cheaper. 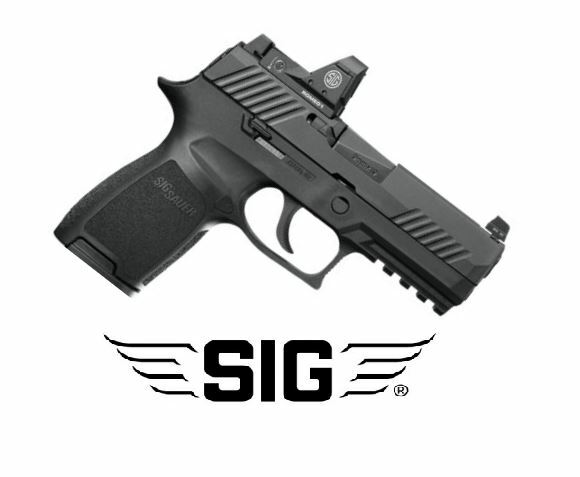 After getting my hands on the HK VP9 I began thinking about the Sig Sauer P320, but how can you begin to compare against the winner of the U.S. Military’s Modular Handgun System Competition. While both of these striker-fired semi-autos are exceptional, the P320 is just simply on a different level. 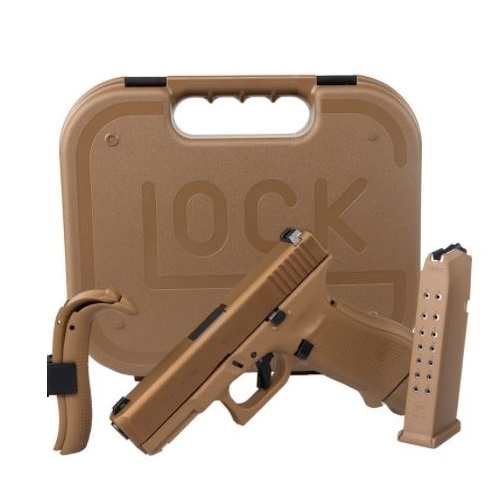 Although Glock is one of the most popular firearm brands in the world, the competition gets tougher and tougher every year and it seems like Glock is having trouble keeping up. I was originally pleased with the Gen 4 Glocks, but I gotta say that the Gen 5 was pretty disappointing. The biggest differences between these Austrian Glocks and the German VP lies in the grips and triggers – While some people swear by Glocks, they simply can’t compare to the new Heckler and Kochs. I don’t want to say that I was surprised to see how great the HK VP9 was, but I couldn’t have predicted how intuitive it was going to be. If I had one complaint about the HK it would be that they don’t offer a compact model – I’d love to see this as a CCW! Thanks for joining us at Gunivore – Stay tuned for more in-depth reviews of the market’s hottest guns! Arguably the most comfortable grip of the middleweight (around 4” barrel compacts) striker pistols. 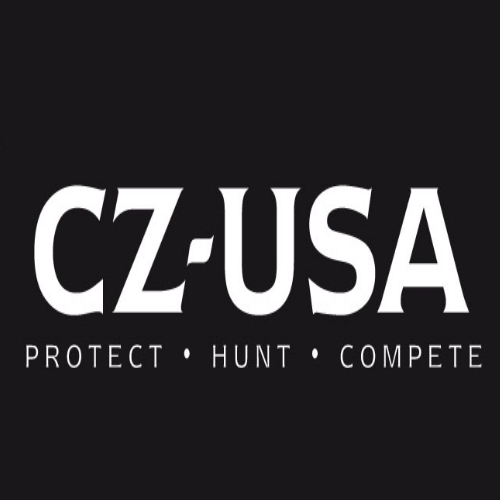 Ease of takedown to the G19, trigger pull to the CZ-P10C, reset to the PPQ, flexibility to the 320’s chassis system, price probably to the APX-just my opinion. The fact is that this is a golden age.